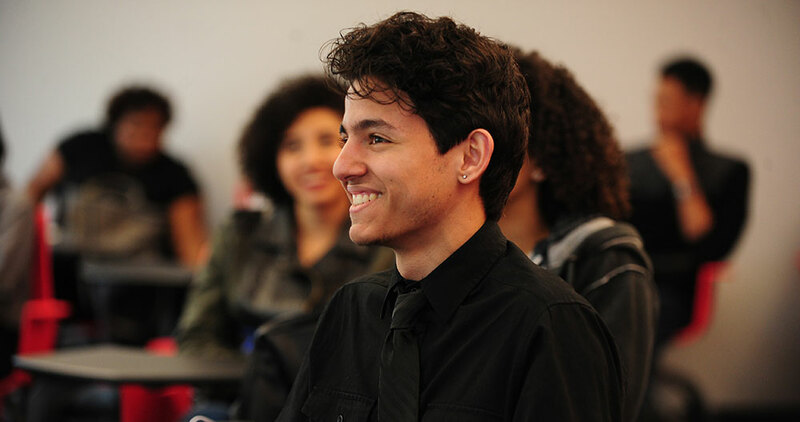 CRANFORD – Union County College is waiving tuition for Union County residents who are impacted/furloughed Federal employees and/or their dependents. 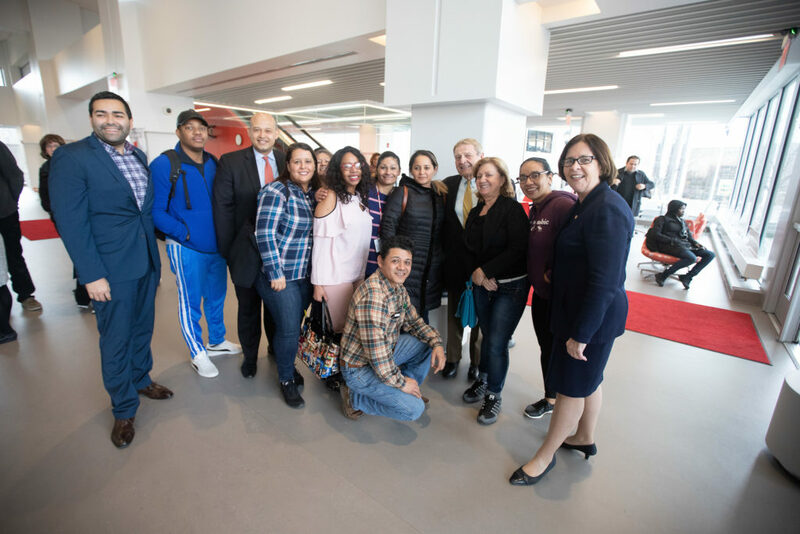 At the announcement on January 25, 2019, Union’s President Dr. Margaret M. McMenamin was joined by the College’s Board of Trustees Chairman Victor M. Richel and Union County Freeholder Sergio Granados, on behalf of Freeholder Chair Bette Jane Kowalski, at the College’s Elizabeth campus. 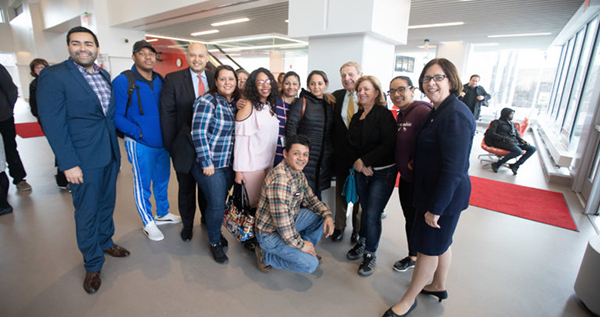 (l to r) With Union students are Union County Freeholder Sergio Granados, Dean of Elizabeth Dr. Lester Sandres Rapalo (third from left), Union County College Board of Trustees Chairman Victor M. Richel (fourth from right), and Union President Dr. Margaret M. McMenamin (right).